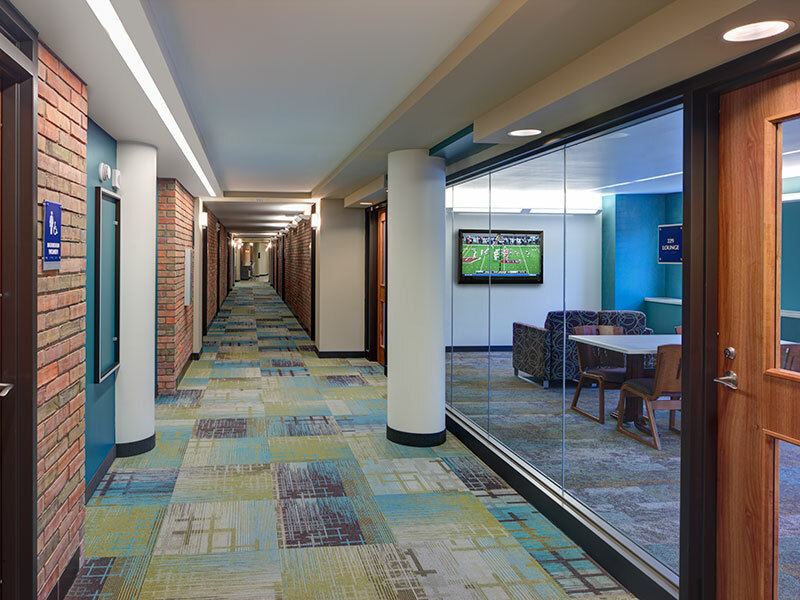 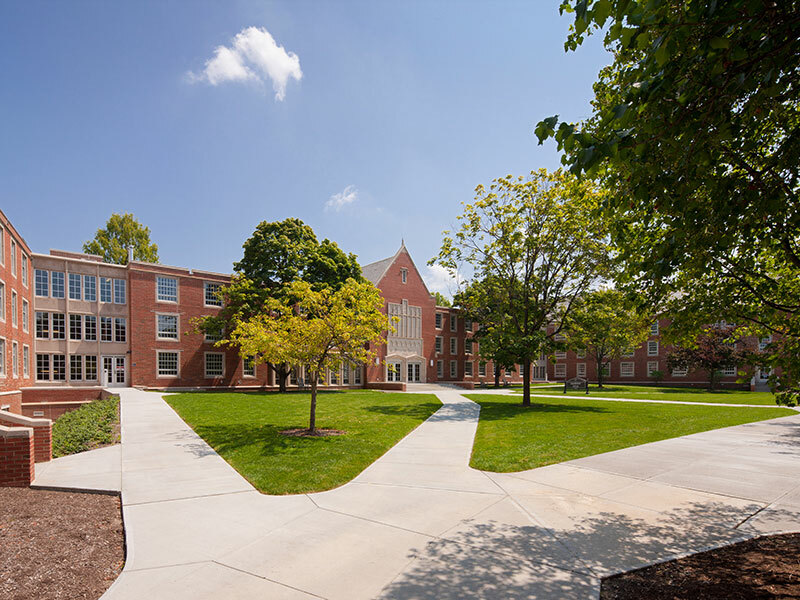 GC: The Krill Company, Inc.
A complete renovation of the 92,000 sf, 5 story residence hall, as well as a new 16,000 sf addition now includes 13 four-person suites, 16 three-person suites, 79 double rooms and 46 single rooms. 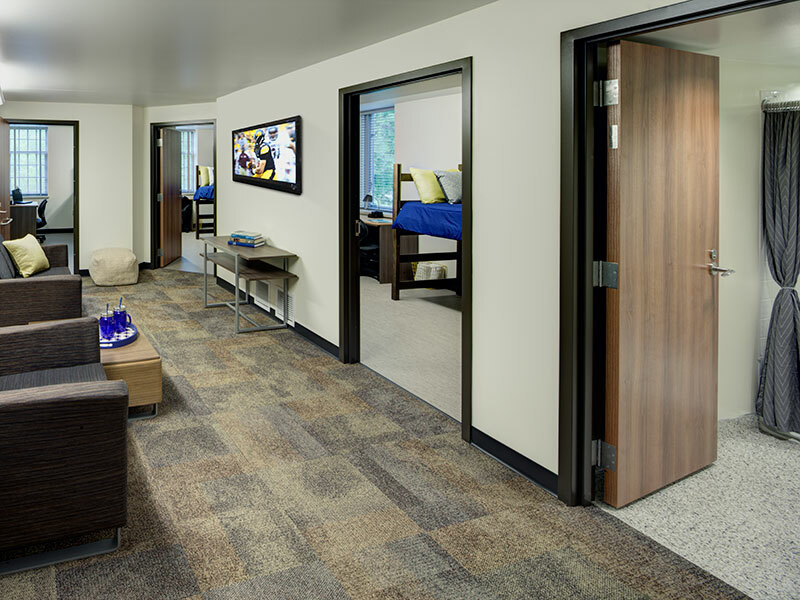 The renovation also provides more private bathroom facilities as well as more study and social gathering space for the students. 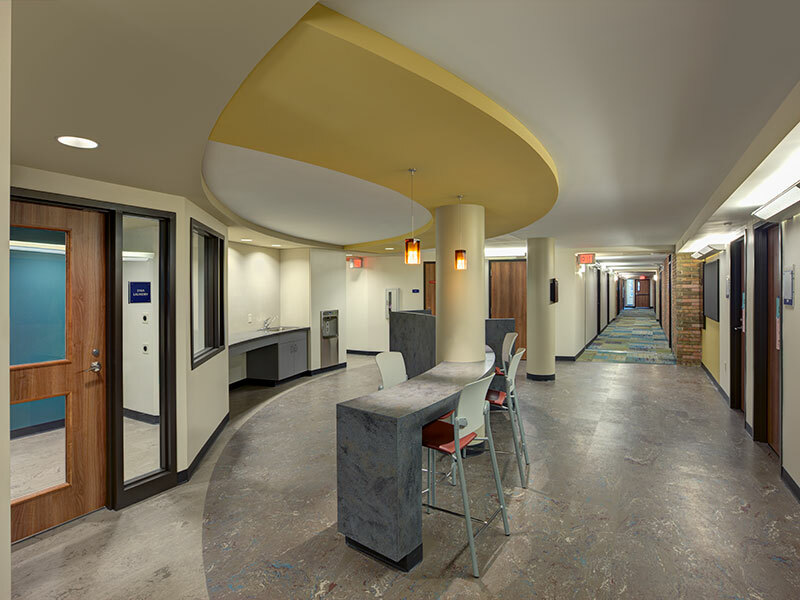 The project also earned LEED Silver certification.